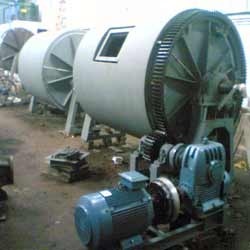 Being a client-centric organization, we are engaged in manufacturing, supplying and exporting a wide range of Ball Mill. Designed & developed using high grade raw material, this cylindrical device is basically used to grind various material such as chemicals, ores, ceramic and paint. Our range comprises of High Speed Blunger Ball Mill, Conical Ball Mill, Ball Mill, Gear Driven Ball Mill and Shrouded Type Ball Mill. 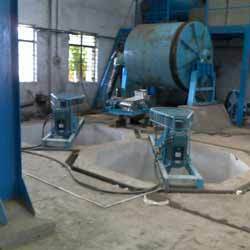 These machines are widely demanded in the market owing to their high durability, excellent strength and dimensional accuracy. With firm commitment to quality, our organization is manufacturing, supplying an outstanding range of Shrouded Type Ball Mill. This range of mills consist of rotating cylindrical shell on a horizontal axis mounted on a sturdily built frame. The offered assortment of mills are specifically designed by our experienced professionals to withstand the rotational load of various capacities. Widely used in various sectors such as building material & chemical industry, this range is available in variegated designs and specifications. We are a prominent organization, which is engaged in manufacturing, supplying and exporting a qualitative range of High Speed Blunger Ball Mill. The offered assortment of machines is stringently tested on well-defined quality parameters to ensure their adherence to industry laid standards. Offered by us is a huge collection of Conical Ball Mill which is made utilizing high grade liners & grinding media in complete accordance with the industry laid norms and standards. In addition to this, the offered range of conical ball mills are highly efficient and provide better performance when compared with cylindrical mill. In this mill, the structural advantage of a cone ensure high quality of the output. 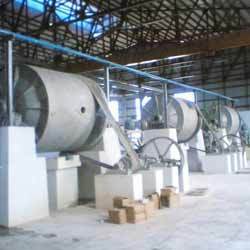 We offer our clients a qualitative range of Ball Mill that are manufactured using superior-grade raw material procured exclusively from vendors of high repute in the market. This range of mills is ideal choice for the grinding and reducing the size of quartz, China clay & feldspar for the formation of slurry in ceramic industry. Moreover, these mills can be used for grinding any kind of material. We are instrumental in manufacturing, supplying and exporting a comprehensive array of Gear Driven Ball Mill. 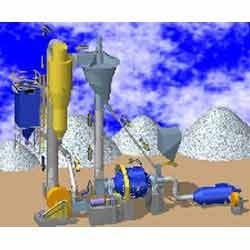 Used specifically for the grinding and mixing of coarse feed to get fine powder, these mills are fabricated under the strict guidance of our experts. Offered mills are available with us in different sizes, capacity of working, rotary speeds and other specifications. Ideal for mixing ceramic, paints, cement & other material, this range is highly demanded owing to their excellent load bearing capacity, high efficiency and durable standards. 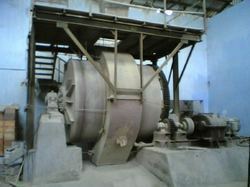 Looking for Ball Mill ?